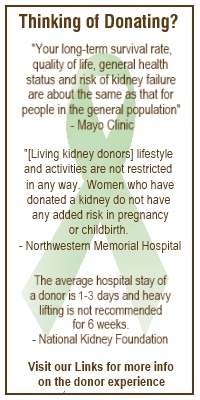 Our synagogue has traveled alongside us every step of the quest to find a living donor kidney. If we were to name all of the ways BJBE has supported us, the list would be a mile long. The fact that they sent an e-mail to the entire 1100 member congregation asking people to help spread the word and/or consider donating a kidney to Gary is, of course, a critical task and therefore, incredibly important to our family. Less measurable, though, is how these actions make us feel, deep inside. BJBE members, staff and clergy have made us feel valued, loved, and cared about. That is what the people at BJBE do. They care about one another. They help one another. They stand by each other in the good times and the bad. If you ever have the opportunity to be in the Village Center at BJBE on a busy Sunday, you will hear the laughter, witness planning sessions for some cutting-edge program, and find people in the David Wax Chapel filling their souls in that beautiful spiritual space. There is nothing more powerful in life than the sacred relationship we build with one another. We are so grateful to be part of this wonderful, loving and vibrant Jewish Community. When a living donor kidney is found and the transplant is completed, we look forward to celebrating life for years to come, renewed by our BJBE family.